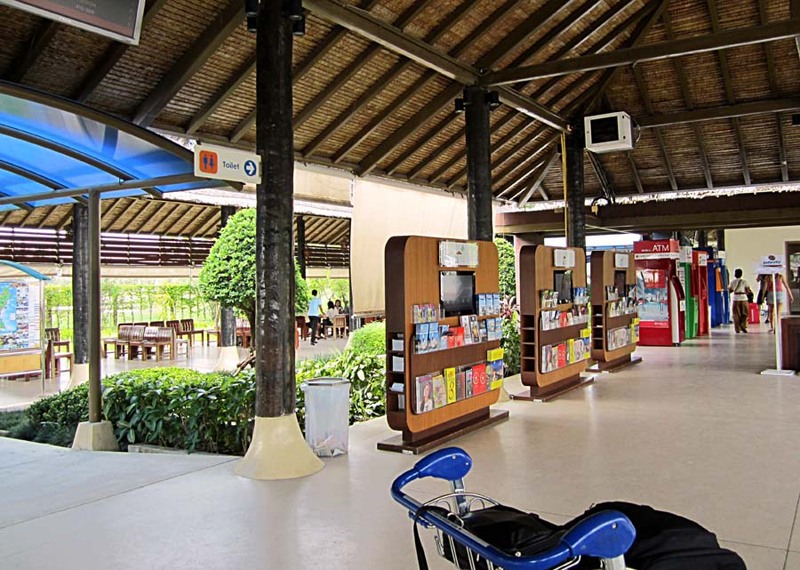 Koh Samui airport in Thailand is one of the most beautiful airports I have ever been to. 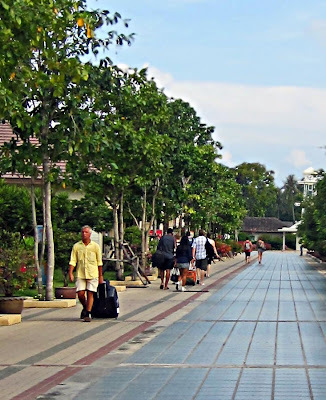 Koh Samui is an island off the coast of Thailand and popular with tourists. 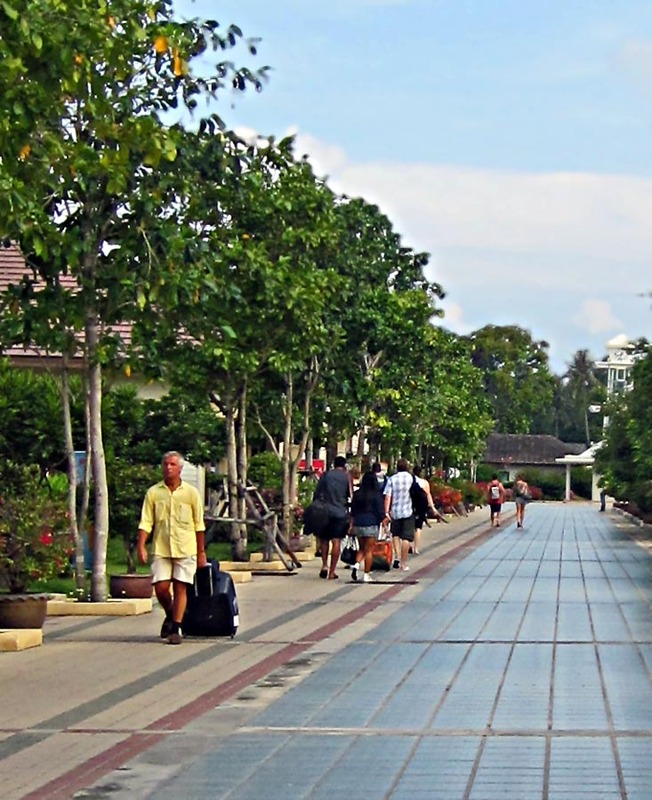 One of the reasons for the uniqueness of the airport is that it is an open air airport or outdoor airport. There must be other outdoor airports in the world, but I have only seen this one. Here is the "inside" of the airport. 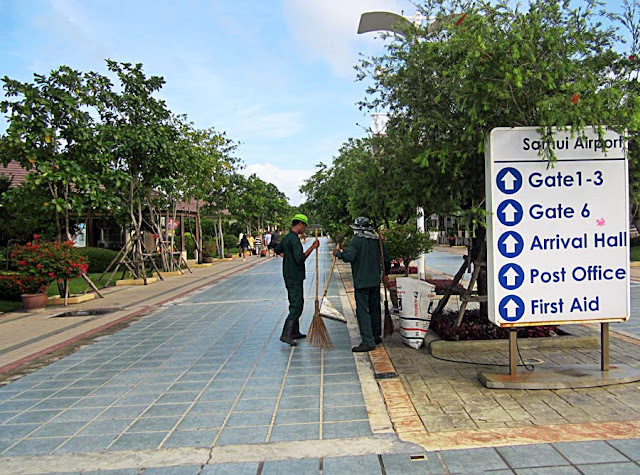 Sweepers are cleaning the area and in the distance you can see passengers walking towards the gates of the airport. A signboard to the right of the picture points in that direction. A closer look at the passengers/travelers with suitcases. Another view of the road leading to the gates. Sun and rain umbrellas help protect passengers from the rain, which in fact is quite common on this pretty tourist island. 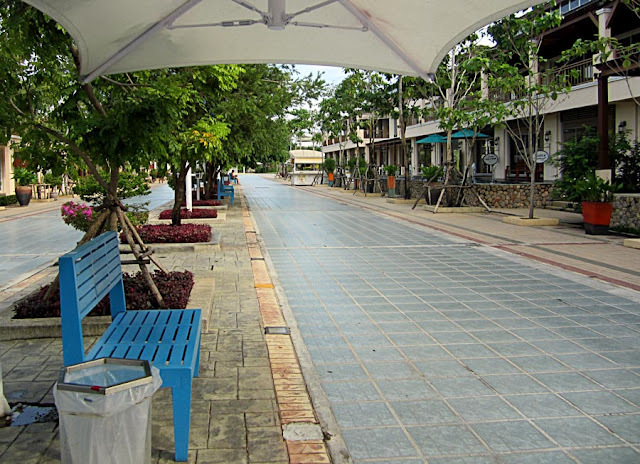 The sides of the road is decorated with plants, trees and pots and wooden benches are available for seating. Everything is sparkling clean despite the airport being outdoors. This is the main building of the airport and it does not have walls. 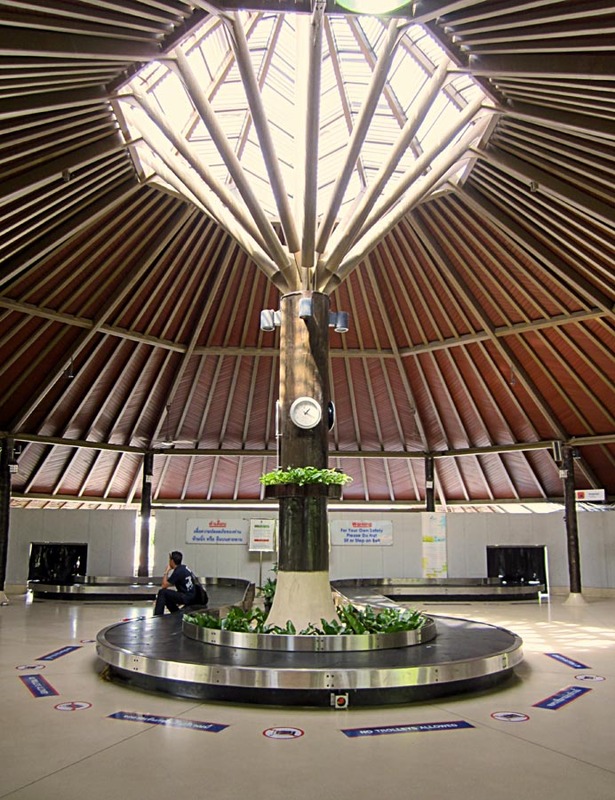 It has used natural materials to build the roof, cane and wood. Even this area does not have walls, just a roof to keep out the natural elements like the sun and rain. A bookshop and other shops and kiosks can be seen in the picture and a coffee shop in the middle of the picture in the distance. A man sits and waits patiently for his luggage to to arrive at this circular baggage carousel. Or check all photographs under the label Airports which has images of different airports of the world.